During the last year I have really enjoyed following the progress of Allan Brew during the 2013 racing season. During the last 12 months he had had some impressive results with his Aermacchi 350 and a Seeley G50 classic motorbikes. 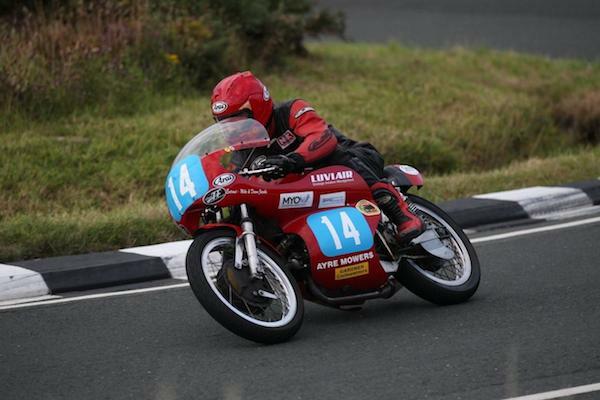 At the Irish Road Race Championship, Classic 500 event, Allan was victorious and took first place. On his way to winning this championship, he had 4 race wins at Cookstown, Tandragee, Armoy and Walderstown. In the Classic 350 event Allan came 5th overall, including a 2nd and three 3rd place finishes. I am greatly looking forward to following Allan’s progress in the 2014 classic motorcycling calendar.